The mountain ranges of North Carolina—from the Blue Ridge and Great Smokies to the southern foothills—are distinguished by steep gorges, spectacular waterfalls, lush forests, open vistas and temperate weather, making them a popular hiking destination in every season. This updated third edition offers day hikes for all skill levels and abilities, including an underground hike through an old gold mine and a climb to the top of the highest peak along the Blue Ridge Parkway. In addition to trailhead directions, hiking distances and times, safety tips, and topographic maps, you’ll also find folk stories, historical anecdotes, and natural history information. Robert L. Williams is a lifelong resident of North Carolina. Together with co-writers Elizabeth W. Williams and Robert L. Williams III, he is the co-author of more than thirty books and has published numerous articles and photographs. 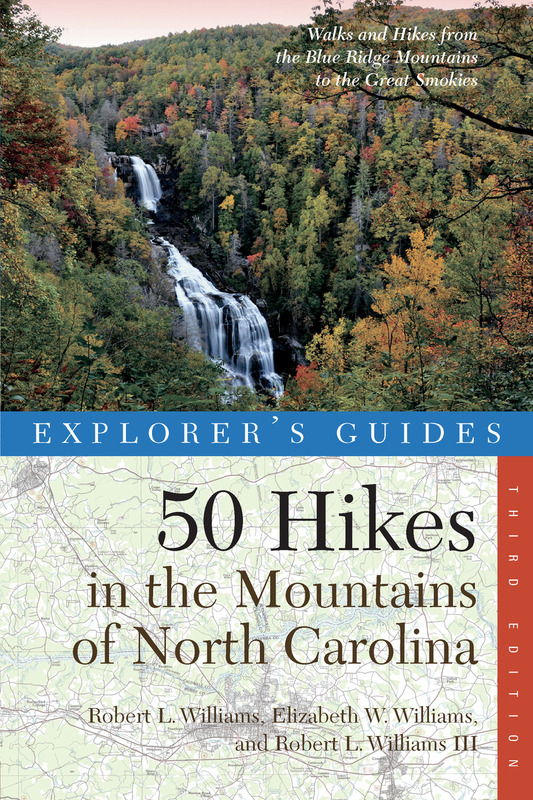 His books include 100 Practically Perfect Places in the North Carolina Mountains, Gaston County, and Explorer's Guide 50 Hikes in the Mountains of North Carolina.